If you had asked me at the beginning of my breastfeeding journey if I’d still be nursing my son at nearly 21 months I would have said no. No way. I mean, I had nothing against the idea of breastfeeding an older child theoretically – I wasn’t freaked out by it like so many readers of this article seem to be (I know, I know – never read the comments on the Daily Mail). I was just pretty certain that by the time my tiny baby had grown into a toddler our breastfeeding days would be long gone. But like so many things about this parenting lark, I was wrong. It’s not like I’ve made a conscious decision to keep feeding him, but rather that there just doesn’t seem to be any reason to stop. We’ve got our technique down pat now and there’s not much I can’t do whilst he’s feeding in the sling. He’s feeding right now – dozing in and out of consciousness as I tap away at the keyboard. I’ll certainly miss the time it gives me when he can be close and nurtured and safe whilst I can still get on and write. If all goes to plan our breastfeeding relationship will have seen me through at least two novels by the time he stops which can’t be bad! I do think it’s still an important part of his diet too. He eats well, don’t get me wrong – he’s had porridge and banana for breakfast today, followed by mackerel and poached egg and kale for lunch. But he’s growing so fast – both in body and mind – that I’m not surprised he needs the extra calories. But there’s more to it than that. It comforts him, in this world which is more full of wonder every day. It gives him pause, time to reflect and recharge. It reminds him that I am here, and I am his, and gives him the confidence he needs to embrace all the new experiences that are presented to him. If he is sick, or falls and scrapes his knee or bumps his head, then a bit of booba is better than any medicine. My milk helps to warm him up when he comes smiling out of the Devon sea, and when we were in Barcelona this summer, traipsing round the city in the scorching August sun, my milk stopped him from becoming dehydrated. Of course he drank water too, but the nutrients in the breastmilk did a far better job of reviving him. He’s not interested in drinking anything else – we’ve tried watered down juice and other kinds of milk but he won’t touch them – which is one of the many reasons I know he’s not ready to stop quite yet. It’s not all plain sailing. There are moments when he calls out for booba or puts his hand down my top in public when I feel like I need to make excuses for the fact I’m still feeding him, though if anyone else were to actually challenge me on it they would most certainly feel my wrath. It can get exhausting, and I do sometimes wish he fed a little less frequently. We’re essentially working on the principle of ‘don’t offer, don’t refuse’, but he still rarely goes for more than four hours without asking. It’s not that I can’t say no – and sometimes I do – but that doesn’t sit very comfortably with me. There’s plenty else I put my foot down on, but not this. Though I may need to break through that soon for the sake of both our sleep. Nights are hard at the moment: he’d dropped down to waking me for one or two short feeds which was totally manageable with the co-sleeping. But in the last few weeks it’s been almost like having a newborn again – last night he woke up almost every hour, scrabbling for me and crying bitterly if I tried to soothe him in any other way. I thought for a while it was maybe just backlash over the lack of routine we fell into over the summer, but having done some research it seems this is a fairly common ‘thing’ for the breastfeeding toddler. So we’re looking into gentle methods of night weaning him. There are lots of techniques out there which I think we could handle, but it’s one thing rationalising them in the light of day and quite another negotiating with an angry toddler at three in the morning. I’ll let you know how it goes. And as for weaning entirely? Well I think now that’s up to Arthur. I’m certainly not about to deprive him of something he loves so much, especially as both of us will be losing out when our breastfeeding relationship is finally over. And really, for all of his confidence and agility and words, he’s still my baby. He’ll stop when he’s ready, and only when he’s ready will it be time to stop. This entry was posted in Sophie is parenting, Uncategorized and tagged breastfeeding, breastfeeding a toddler, extended breastfeeding, night weaning, nursing, public breastfeeding on September 25, 2014 by sophieblovett. Great post!! and that first photo is amazing! My aim was to feed Boo til 6 months but we have passed that and are still going at 9 months, I would like to carry on until she weans herself but I am not sure how that will work when I go back to work in a couple of months. It’s lovely to read a post like this and I hope I can carry on feeding Boo, around work, until she wants to stop. It’s sad that you feel you have to make excuses for still feeding him, it should be a personal decisions between mum and child for what works best, and everyone else should keep their noses out! I hope you get night times sorted soon!! I love your perspective on feeding a toddler! Mine is almost 15 months. I thought I would stop at a year, but as you said, there isn’t a reason to. He doesn’t like any other milk either or juice for that matter. Besides, I’m still enjoying the one on one cuddle time. 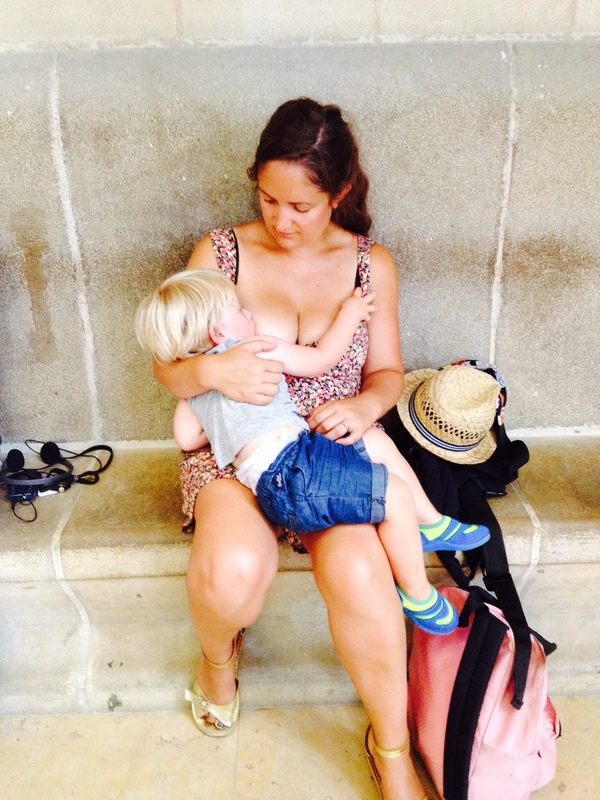 Lovely post – I love your reflections on all the non-nutritional benefits of feeding a toddler. I’m impressed that you manage to feed him in the sling and work – I’ve always struggled with getting my little one latched on whilst in the sling and it must be lovely to be able to be hands free whilst feeding sometimes (whilst still having those wonderful snuggles). Good luck with easing off the night feeds and hope you get a bit more sleep soon. I read this with some interest. As feedback, as an objective reader, this article reads as a treatise in the benefits and security of maternal bonding for mum, not necessarily the child. I couldn’t see any health or well being benefits identified for the child, and mum’s needs seem to be well articulated.To quote “I know he’s not ready to stop quite yet.” After reading the article I can’t help but be left with the impression that a more accurate statement may be “I’m not ready to stop quite yet”. I’m not entirely sure that passing the responsibility of weaning to the child is a phenomenon observed in nature, and there does appear to be an immense justification for mum to continue. Interesting insight all the same. Thanks for your comments. 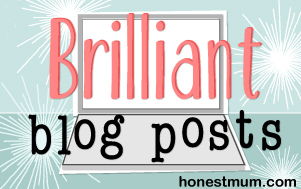 There are definitely numerous benefits to continuing breastfeeding for me as a mother – things that are often overlooked by people who believe that extended breastfeeding is merely pandering to the demands of the child. As with anything about parenting it’s a matter of making choices based on what’s best for parent and child. Arthur’s language skills are not quite developed enough yet to articulate his needs as clearly as me, but you’ll just have to trust my instincts as his mother on that one. With the World Health Organisation recommending breastfeeding until two years or beyond I certainly don’t think I’m causing him harm, and am confident in the numerous health and emotional benefits to him which will last as long as our nursing relationship does. I’ll be doing a follow up post on this so if you’re interested check back next week. In terms of child led weaning/ extended breastfeeding not being natural, I’d argue that the opposite is in fact true. Studies into animal behaviour by anthropologist Katherine Dettwyler suggest that the natural weaning age for humans is between 2 1/2 and 7 years. Deborah Jackson has also written some interesting works on this, exploring parenting practices in cultures across the world. These studies would seem to suggest that it is the practices that have developed in the last 100 years or so in the West that are going against nature, not the other way around. I appreciate the challenge, but rest assured I’m happy that the approach I’ve adopted is best for my child as well as for myself. I think the main thing is to feed for as long as you/he wants. I fed my two until they were 11 months old as that’s what suited me and I didn’t think they’d miss out from it stopping (which they didn’t). Great post. Thank you 🙂 I agree that it is absolutely an individual choice for a mother and her child. Crazy that anyone could think otherwise really!